This guide, Pinterest for Beauty Business Bloggers, Spa Owners, Makeup Artists, Esty's, Small Businesses and other Beauty Biz Blogging Babes, is designed for all levels of bloggers and pinners. If you’re relatively new to beauty blogging or to using Pinterest for Business, I recommend reading from beginning to end. You can even print this page out as a PDF for later use. Just right click your mouse and hit print, then save as a PDF. 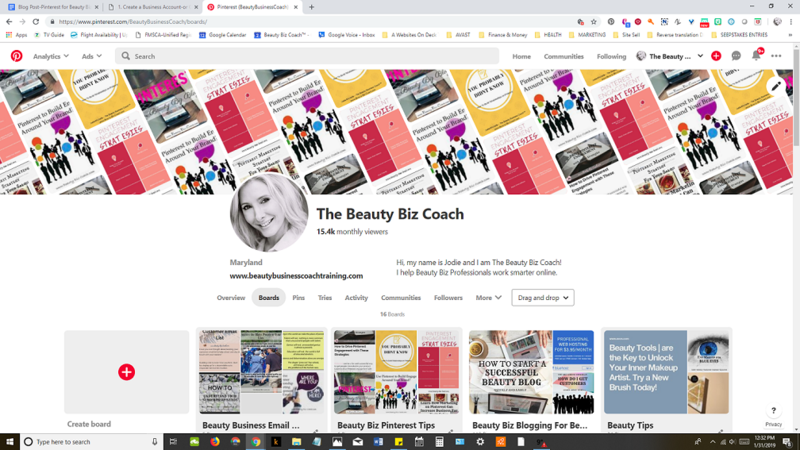 However, If you’ve been pinning for awhile and simply want to take your beauty biz pinning to the next level, feel free to skip down to the section labeled Pin Like a Beauty Biz BOSS. While I typically don’t write content aimed at other beauty biz bloggers, I wanted to share my knowledge on the topic. As a Pinterest VA/Consultant, everything pinterest has recently become my main jam, and in my 2 years of experience learning and trying to figure out this new world of pinterest marketing, I’ve learned a thing or two (or three or fifty, heck even more). 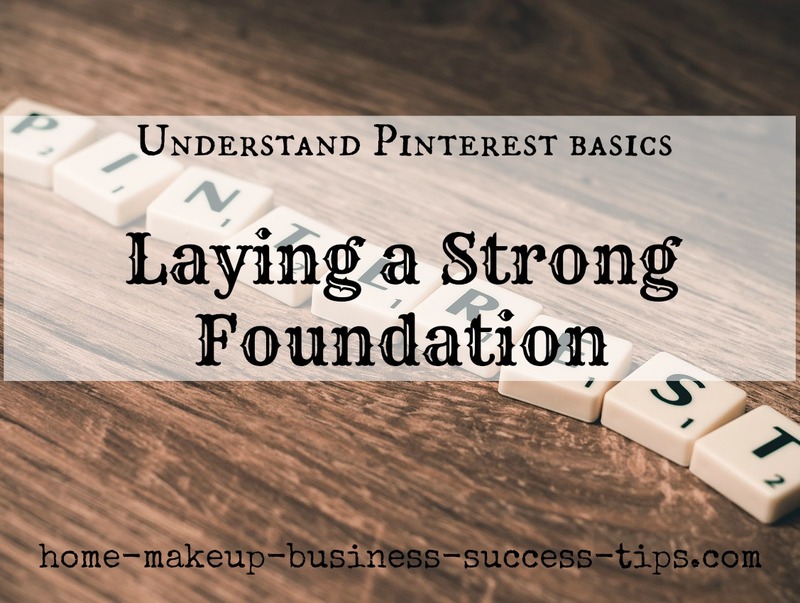 It’s also something many beauty business owners and bloggers and non beauty bloggers have expressed frustration with, and with friends coming to me regularly for advice these days, it made sense to put it in one place for the sake of convenience. 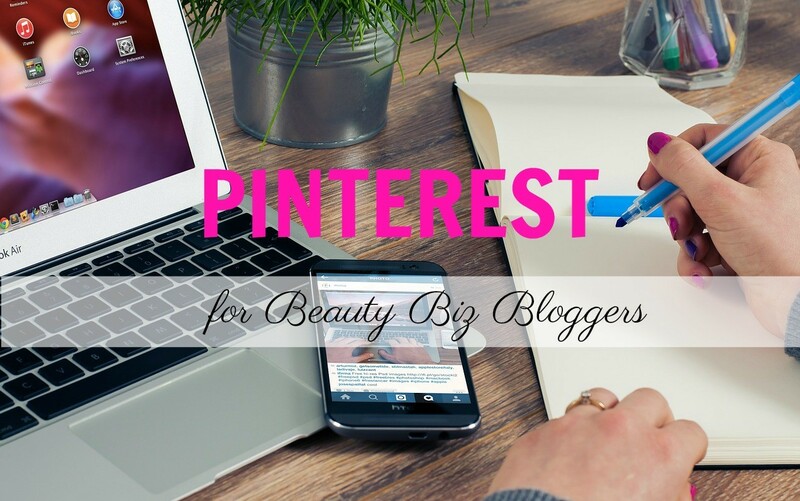 Pinterest is an extremely powerful tool for growing your beauty business and/or blog, and today I hope to convince you to allocate perhaps more time to Pinterest than any other social network. Cross-linking between social networks is a powerful – and ridiculously easy – way to cement your social reputation. This in turn helps you grow your business. I know this is a Bold statement, but let’s get real here–we’re all so frustrated with Facebook’s never ending changing algorithms, I know I am, and yes, Twitter is great for networking, but it takes a another kind of person (perhaps a Twitter VA) to figure out how to drive blog traffic from it (but if that special person happens to be you, please email me, I’m desperate). Let’s get pinning, shall we? How to use it- Thats what I will be showing you in this very long blog post. The nitty gritty mechanics of getting you beauty biz up and running quickly and easily. If you are already there, I hope you find this useful anyway. Before I begin, I want to share with you WHY you need Pinterest. If you’ve ever used Pinterest, then you know how powerful its visual images can be. With so much content to consume, it’s easy to find yourself sitting for hours pinning interesting articles, recipes, crafts and more. The platform simply lends itself well to certain types of stuff. The benefits it can offer your beauty biz go well beyond its emotional appeal to users. 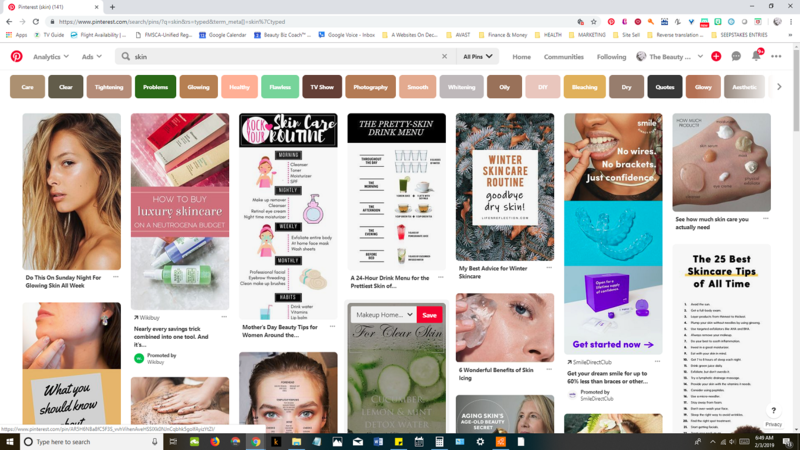 Take a look at these tried and true reasons to use Pinterest to build engagement around your beauty brand if you want to see a significant increase in user interaction and sales. Let me tell you this also. This will work for beauty brands of 1 or more. If your a solopreneur this is also right up your ally. So use it to your advantage. Yes google is a search engine, and so is Pinterest. Your probably thinking- well their rivals? Not really. Their friendly rivals, and here’s why! Content found on Pinterest is high ranking when it comes to SEO. By taking care to name your boards with simple, straightforward titles the average user would type to find you and your offerings, you’re sure to see an increase in followers, who have the potential to become fans and loyal customers. There is a good way to do this, and a better way. In a little while I am going to show you the better way. So stay tuned. OOOLALALA! We love this one. If you haven't done this yet, start thinking about what you would like to sell. For those of you who are big time spa owners, salons, wedding makeup artist, etc...think about how you can increase your sales. So don’t be afraid to to pin the crap out of others pins, and other people’s content more often than your own. Pinterest’s algorithms will love you for it. Do however stick to the 80/20 rule....80% your pins, 20% others. You’ll find that Pinterest is a very socially influential platform. Its users often form communities among like-minded individuals surrounding a hobby, lifestyle, product or any number of interests. These types of social connections, along with the mere emotional pull of visual images, can lead to immediately making a purchase or planning for a future buy. As I said before follow others. Share and be shared. Your credibility as an influencer won't suffer here. Just the opposite. Give good content and you will be rewarded, by others following you. 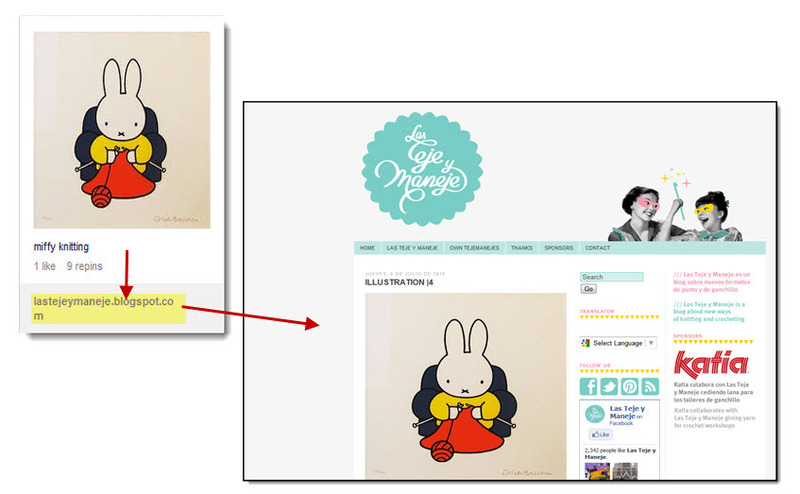 It’s easy to share your pins to other social media sites, even to your own blog through embedding. You can tweet your pin, share it to Facebook or send it to another user through a message. This gives you a great deal of versatility and increases your reach with just a click of a button or two. The content that you pin has endless staying power. Unlike the other players in the social world ( sneeze****twitter*****sneeze, cough) the content that you put here will stick around forever and a day. Also, if your pins become uber popular and rack up thousands of repins, they’ll be shared over and over again. Just image if you had to pay for magazine advertising every month just to get the same effect? This is a NO BRAINER! Jump in now and see where it takes you. I promise that it will be worth it. According to stats analysis sites such as Alexa and Infographic, the Pinterest user base consists of 70% female users. This group also reveals a higher than average percentage of college educated users, with most being between 25-34 years of age. Pinterest is a graphics-sharing social network that introduces itself as a “virtual Pinboard”. You sign up on your PC or laptop, and, if you have an iPhone, you can also buy the Pinterest App from iTunes for your mobile, same goes for android; so you can continue sharing when out and about. You are also able to see other peoples’ Pin Boards… and they can, in turn, see yours. Remember we talked briefly about maximum exposure? They are also able to add to your Pinboards and you to theirs. Pinterest is organized by categories, which helps you find awesome pins so much easier in your particular interests, as well as organize yours. 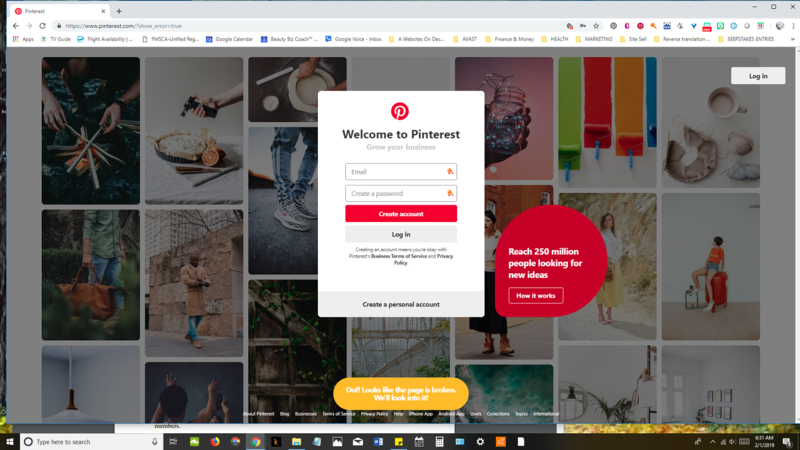 Pinterest Security ...The one fact you need to know: Anyone can grab your images and use them commercially – and that has happened already. Pinterest is also about blatantly grabbing other people’s images from other websites and posting them on your own or friends’ Pinboards, which has actually caused some litigation. Pinterest’s response to this is to state in its terms and policies that you post at your own risk. You are required to log in using Facebook or Twitter. The first time you do so, Pinterest lets you know exactly what it accesses from you; and what you can expect in terms of its access to your account. What Pinterest is really about, however, is sharing tastes and personal stories. For example, if you love wildflowers and post a Pinboard featuring photos you’ve taken of all the different types near your home, your respondents and those who share your Pinboard photos would likely be other wildflower enthusiasts. But most of all, Pinterest can spread your images (and links) virally across the net… to people likely to be interested in your Pinboard photo subjects. …And a new window opens up in your browser, taking you to the original source of a photo: In this case, a blog. So what you want to do is create highly-appealing, original graphics that people will want to pin on boards. And yes. The graphics can be keyword-based. 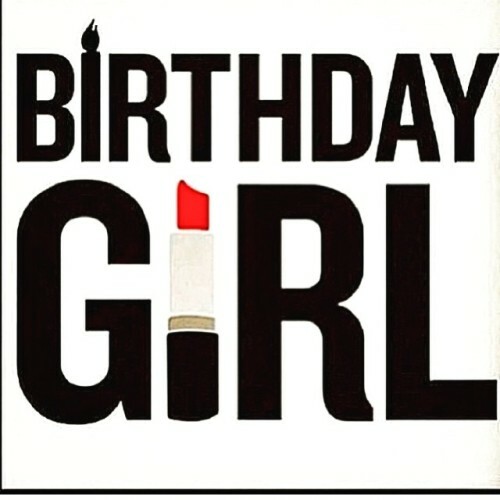 For example, with the photo, above left, your keyword is “Birthday Girl”. So make sure the title of your photo contains that keyword. Take it one step further, and make sure the description also contains your keyword. How to use it- Thats what I will be showing you in this very long blog post. The nitty gritty mechanics of getting your beauty biz up and running quickly and easily. If you are already there, I hope you find this useful anyway. Ready to Take Your Business to the Max? How to use it- Here’s the nitty gritty mechanics of getting your beauty biz up and running quickly and easily. If you are already there, I hope you find this useful anyway. Convert your personal account to a business account: If your going to use pinterest to promote your business, your required to convert it to a business account from your personal account. I don’t have a personal account anymore. I did originally join as myself. If I only wanted to use my name Jodie Michelle, I would just join as a personal site. However, since I use it for my business blog, I pin with my branded name- Beauty Business Coach. My website is claimed or connected to my Pinterest account and the url appears in my profile. You can find full instructions for converting to a business account Here. If you don’t have an account, skip to the Set Up Your Account. Just follow the directions from here... It's super easy. You got this! 2. Confirm your Website: This is a step that many bloggers skip or just forget about because it involves HTML (oh s*@# html). However, it's an important part of the setup process because it's the only way you'll get full use of Pinterest analytics. Relax, it really is easy. Don't panic when you see that Pinterest wants you to add some HTML to your section of your index.html file. If you're really struggling with this and you're still not able to verify your website, reach out and I can help get your site verified for you for just $10! 3. Your Profile & Settings: Once you have your business account setup, and claimed your website, there are just a few more techy things you need to consider before we dive into our Pinterest strategy. Go ahead and upload your profile picture or logo that goes along with your blog. You want people to identify with your brand - so use the same graphic in both places. Note: If you're open to using your profile picture, studies show that a personal photo is more effective than a logo. This builds your know, like, and trust with your audience. 4. Pay attention to your Pinterest URL: As I mentioned before, when I first started on Pinterest, I joined as myself. When I realized how I could use it with my blog, I changed my URL from my name to my brand name- BeautyBusinessCoach. Whether you use your name or your blog name, make sure your Pinterest URL is consistent with the name you use on your other social media accounts... i.e. I am The Beauty Biz Coach and it is my twitter handle, FB page and more. Has been since 2009 when I created my brand. Just be sure you update any direct links you have on your blog to your Pinterest account. 5. Should You Delete Pins? : NOPE! Seriously- the jury is out on this one. One person says delete, someone else says don't, with such compelling reasons to do it. Listen, your time is so valuable and spending your precious time deleting pins instead of doing the money stuff like creating beautiful pins with awesome keywords and descriptions will be time better spent. 1. Start creating better images that are optimized for Pinterest. 2. Start including relevant keywords so that your pins can start showing up in search results. 4. Stop pinning as frequently to group boards. Focus on compelling images and good pin descriptions with focused keywords, that will get you the most return for your efforts. 1. Let's Talk about RICH PINS - Rich Pins is how Pinterest provides more context about an idea that you are showcasing, to your already juicy keyword rich description that you have written on a pin. Basically its shows extra information. This Rich Pin can be and: app, product, recipe or and article. Since this blog post is geared towards bloggers and business owners, we will discuss Rich Pins in the form of an article. When Rich Pins are applied extra information such as your blog’s name, logo and the title of your article with links will appear. This is great for branding your blog, and content in addition to making your pins look more professional. Your showcasing your business, not shopping for breakfast. Rich Pins also appear more in feeds and searches when others are looking for a particular keyword, and lets people know that you are legit, and ready for business. When you click on one of your pins, do you see your Pinterest profile image below the pin? If so, then congratulations! You're done with this lesson. Enabling Rich Pins is pretty easy. All your doing is adding a short bit of code into your blog post or article. Submit and your done. FYI- For those of you who have built your blog on Wordpress: If you use an SEO plugin like Yoast, just be aware that the SEO title you give your article is the title that will appear on your Rich Pin. If you have an online shop such as amazon, ebay or others, there is a good chance that your store is already set up with Rich Pins installed, so your product pins already have rich pins associated with them. Just keep in mind however, that the rich pins are associated with the mother company, not yours. If you don’t have your own blog, now would be a good time to start it. I can help you start your blog here. Remember your building YOUR BUSINESS, NOT OTHERS! Put Rich Pins Help in the subject line. 2. Let’s talk about Keywords or as they are called “GUIDED SEARCH”- This has got to be my most favorite part of Pinterest, and in my opinion the most important. I love guided search. You can be so creative here and super target your business and stand out in the sea of pins if you know what your doing. Here’s why: In order for people to pin your stuff and hopefully follow you, they first have to find you. The only way that this can happen is if you have targeted, relevant keywords in your pin descriptions (we’ll talk about pin descriptions in a little while), images, image titles, descriptive titles, and alt descriptions on you blog or website. And because Pinterest is a search engine just like google is a search engine, it stands to reason that if you want others to find you, then you have to use it the way that it was intended for. A “ GUIDED SEARCH”. To the untrained eye, (not you of course), it looks like a great big hard to understand dart board. But it’s not. It’s your key to driving traffic and building your list of raving fans for your beauty business. ● Guided search are the tiles that appear after you type in a search term using the search bar. ● The tiles at the top are all part of guided search, and they represent keywords that people are using to search along with the word that you just typed into search. ● And here’s my favorite best part of this? They're in order from left to right of most to least searched. So you can really mix it up and be creative with your blog post, and titles. ● If you already have a post featuring glowing skin, you might want more keywords that are specifically related to the term skin. ● All you have to do is click on the skin title, and guided search will show you all of the search terms specific to glowing skin. ● From most to least searched. Your keywords don't have to be an exact match to get found, but they do have to be relevant. Keyword Tip: Before you write your blog post it helps to plan out your Blog Post title and the relevant keywords that you will use for your description. (Although a little copywriting knowledge can help, you don’t have to be an advanced copywriter to do this.) First choose your title for your blog, then list at least 3-5 guided search keywords that are relevant to this title. Mix in the keywords in your pin description. When your image is pinned directly from your website, the text will show up in the default pin description is that images alt text. You don’t have to use all of the keywords. Just use what works for your blog post. If your not using keyword-rich images with keyword-rich alt descriptions, start doing it now. Next I will discuss copywriting compelling pin descriptions. ...Your First Step in Getting Head Spinning, Mind-Blowing Traffic from Pinterest to Help Build Your List! Let me reinforce this concept- Traffic getting, List building is all about your pin description + your great images + your overall pinning strategy. HOWEVER - it's your pin description USING YOUR GUIDED SEARCHED KEYWORDS that's going to help you be found in search and appear in people's home feeds, even if they aren't following you. From here on out Guided Search is YOUR NEW BFF. Don’t forget it! 1- Determine who your audience is- Keep them in mind when you're copywriting your pin descriptions. Ask yourself these questions- are they a wedding day makeup artist, a beauty style magazine, a Day Spa owner, a micro-solopreneur? Who are you speaking to? Keep this information in mind as you craft your description using those keywords that you compiled. Knowing who you are talking to really helps when you are writing, it keeps you focused. Choose Your Keywords- Try to include at least three keywords in your description. If you need more keywords, you can use more. to help them overcome any obstacle that might be keeping them from clicking on your pin. This might mean that if you're promoting a wedding day service, for example, let them know that you can help them make their special day unforgettable. Does Your Pin Have a Call To Action - This will encourage people to click thru to your website. Don't use Hashtags- You don't need them here. Be sure to write thoughtful, evergreen and timeless copy. Pins last forever, so avoid descriptions that focus on timely promotional information, i.e. Fancy Day Spa is having a January Mega Sale. Instead you can write something like- Your skin used to glow and now it doesn't. Does your skin always feel dull and dry? Does it feel tight and uncomfortable everyday? Maybe you need a skin care check-up to see if you are using the right products. Let Us Help You- Book your Skin Care Check up today at Fancy Day Spa. Are you having trouble with your Copywriting? Staring at a blank screen every time that you try to write a blog post. Cant figure out which "Guided Search Keywords" to use? Have no Idea what to say in your Pin descriptions? Put Copywriting Help in the subject line. How To Create Awesome pins without driving yourself crazy. Like all things in life we cant be good or great at everything. For some, graphics aren't your thing. For others it's all you do. If graphics aren't your thing, then creating show stopping pins might seem like an impossible daunting task. If this is you I have a simple solutions. Picmonkey or Canva. These two totally awesome graphic creators were meant just for you. While each one has their own way of doing things, the results are the same. Beautiful Pins that ANYONE can create. I know this, because I am NOT a graphic artist...AT ALL. In fact I HATE doing graphics with a passion. ( I’m desperate here- if anyone Loves to create Pins, contact me), I am a Makeup Artist. A very different type of artistic ability. If graphics isn't your strong suit, you can use the graphics provided by either of these two companies. Be sure to check the terms when you sign up. To quickly and easily create beautiful Pinterest graphics, I learned on Picmonkey and just loved him. Its free version works just fine and can even be used for basic editing. You can also get the paid version (PicMonkey Royale, which costs just $33 per year) gives you access to tons of added options including premium fonts and advanced functions like airbrushing, filters, effects and overlays, and more. Then his cousin came along with more options and I cheated on him with another excellent resource for creating pins - Canva. I find it slightly less user-friendly, but it does have a number of free design templates that make creating cool pins quick and painless. Even for a non-graphic artist. To make your pins stand out from the crowd (since most people use the free elements only) you can pay a little extra and get the premium stuff. It’s well worth it. It makes designing so much easier. For maximum exposure and less stress in the long run, you’ll want to schedule your pins to go out at a certain time that you choose. Schedule and forget it. No worrying everyday about when and what time. It's done for you. The only tool that I am going to discuss here is Tailwind. Other have come and gone, but this one is a keeper. If you use anything else please disregard this step. They make it easy for your to schedule at YOUR leisure and they have tons of learning tools that can get you up to speed in no time. Tailwind is a popular Pinterest marketing, scheduling and analytics tool. Find trending and recommended content, schedule pins and track your results. Metrics include the number of repins, domain pins, engagement, most popular boards and number of followers. Tailwind saves you lots of time when marketing on Pinterest. Note: You will need to set up a FREE TRIAL account first. Consistency is Is Your Ticket- You want to pin everyday if possible. Your looking for maximum exposure, and chances are your competitors are not doing this. Ideally 20-30 pins a day should work. Anymore is overkill. Setup Your Pin Templates- Once you have your templates created to your brand all you have to do is write copy and change the image. Include Text Overlays- People need to know what your pin is all about quickly, so they can decide if it's worth reading. Images do much better with text as far as getting click thrus. And Don’t forget you URL- When someone sees your awesome text overlayed image and want to click thru to your website, make sure that your website URL is also included. Pin Others Content- Don't just pin your own content. Pinterests algorithms will reward you for being so kind and generous. Remember maximum exposure and the 80/20 rule. So pin the crap out of others pins. Do be sure to “follow” other relevant Pinterest users that Inspire You - Find five Pinners to follow whose material relates to your theme. To get others to share your pins, be sure to share theirs too… or leave comments and click “Like” on Facebook. Your credibility as an influencer isn't going to suffer, and this is a safe bet that you will hit the pinterest pot of gold. Organization is key- Organize your boards anyway you like. However, I do recommend putting your best boards in the top 5 rows. The Popular Pins - This high school mentality also works in pinning. People want to be where the action is. Those pins that you see with 256799 repins? You want those on your boards? Why? Because those are the in pins. The popular ones that show up in searches and feeds, giving your account extra exposure. Remember Maximum Exposure? Yep, here it is. And when the new kid on the block pins that 256799 pin, pinterest might suggest your pin as something to also follow and something that they might enjoy, giving the new kid another way to find you. This also gives you social proof that your pins are high quality content, meaning your “IN”. Don't Forget To Comment- Comment on others popular blogs. Simple reason- maximum exposure. Join Group Boards - When your just starting out one of the best ways to find maximum exposure is thru others. Boards can have 1000’s of other followers looking for great content, and they just might like yours. Just be sure to read the groups guidelines so they don't remove you. I realize that reading each groups guidelines take some time and effort, but it can be worth it in the long run. Think long term business. Also DON'T keep re-pinning the same image over and over again. This can get you banned. Need help finding a group? Check this out. Analytics Baby - Using analytics to pin strategically can help boost your business account. It gives you information such as, audience and their activity, which pins are outperforming others in repins and click thrus. Using this information can help you repeat your success with subsequent pins, and help with that maximum exposure. Again, Schedule your pins using a third party app- If you don't want to be on Pinterest every single day, this is the only way to go. Trust me, it's worth the small investment to use a scheduling app. Sign up with Tailwind and give it a try for FREE. GIve it time - Rome wasn't built in a day, and neither will you Pinterest growth, along with your other blogging and business related activities. This takes a considerable amount of time, effort and energy to see results. So chill and don't stress yourself out, especially if your starting from scratch. It can take weeks of pinning when you start to get in pinterests good graces. From there your looking at months before you can really start to see engagement. Momentum then can start happening months after you start pinning. Also, repins don't mean blog traffic right away. People are saving the information to read at a later time. Example- Perhaps they are getting married and need a bridal makeup artist. They repin your information and save it to read 6 months from today. Or Perhaps you are the editor of a local Beauty Magazine and want people to read it. You pin a cool article and someone likes your pin and repins it to read the article to read in a month from now when they are ready to find a hair salon that you mentioned. You see how this works? Patience is a virtue- literally. ...And the Pinterest Zendesk, which deals more with specific quirks and exceptions. These two resources will help you power-pin with confidence more quickly than all the “Marketing Tips and Tricks” articles in the world! Doing this will help you feel more confident and comfortable with Pinterest - and pretty soon you’ll be coming up with unique, original and effective marketing strategies of your own. 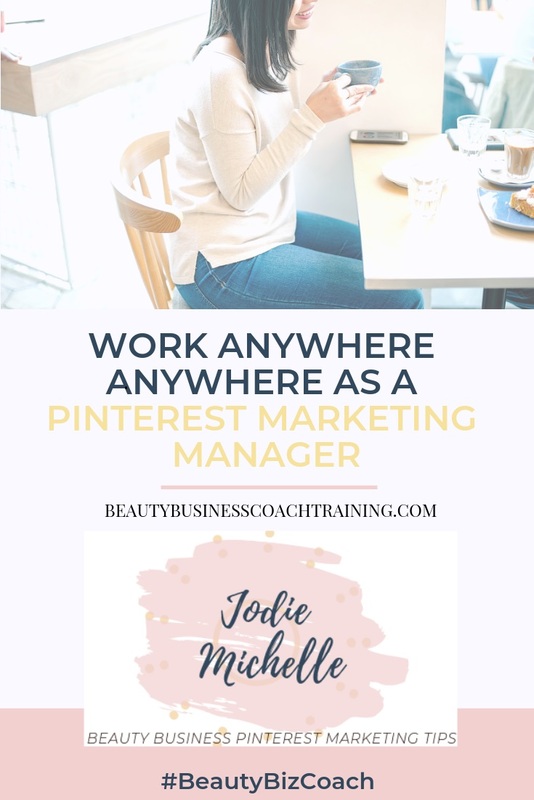 Jodie Michelle is a Freelance Beauty Business Copywriter, Pinterest VA and Beauty Professional who's been living a freelance lifestyle since 2006 and working with a variety of Individuals to help make their lives more beautiful. She loves helping others start and build their beauty biz dreams. If you desire more in life leave a comment below to connect!